Bill Windsor has been inundated with calls for help from victims of corruption all across America. Over the last five years, I have had many thousands of people contacting me for help. The numbers were totally overwhelming after my Supreme Court case was publicized by Breitbart and other significant online media. While filming the movie, there was a never-ending number of people -- over 7,000. While the number are not nearly that big now, I am receiving a significant number of calls for help from folks. I haven't seen anything like this except after the Supreme Court deciison and during the main filming. 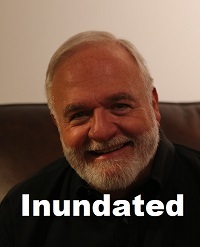 While I am delighted that the website, Facebook page, and YouTube Channel are getting so much readership, I need everyone to realize that I am literally inundated. Swamped with emails and Facebook messages that I simply don't have time to deal with right now. First, please recognize that I am preparing for trial. I am representing myself in a case that could see me sent to prison for a long time. Second, I am not using the telephone because I don't want the long arm of the law to know where I am. Third, there are hundreds of others just like each of you who want help as well. Fourth, I am not an attorney, so I cannot give legal advice. I can only speak with you as a friend and share my experiences (of which there are a LOT). So, I am going to schedule a TalkShoe Call-In Radio Show as soon as possible. I can't do this until after my scheduled Pre-Trial Conference on August 27, 2015. If this gets postponed again, I will schedule it sooner. When we have this next show, I hope you guys will come with some ideas about how we can help more people and what in the world we can do, other than the movie, to try to have an impact on all the corruption. Let me note one additional factor. It's just me. No staff. No family. No home. No income. Once I am found NOT GUILTY, I have to decide where to live and move. I also have to find a way to make some money as the courts have stolen all the money that would have enabled me to pursue this with all my time and with hired help. VERY Sadly, there is little that I or anyone can do to help those of you with corruption issues. The corruption is so bad that there are no honest people to turn to for help. The judges do whatever they want (which is alost always not what you want), ignoring the law and committing crimes of their own. I can tell you what my experience is, but this will almost always be that the law was totally in my favor, but the judges always screwed me. I don't mean to be a downer, but this is just reality. I will gladly publish your story as soon as time permits for that. I don't currently have an "editor" to help with that, so this is another challenge.